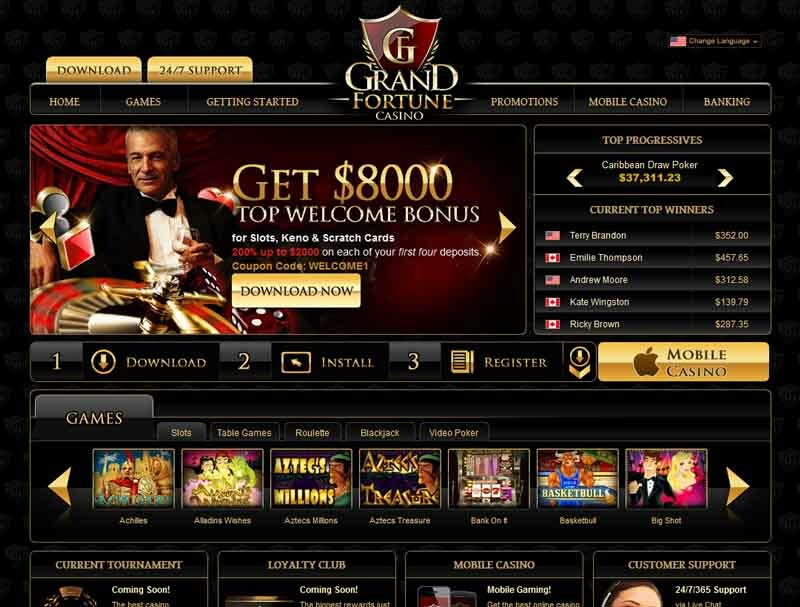 The Grand Fortune is a brand new web based gambling center that offer their products to players from all around the globe. The site stirs some pleasant emotions upon entering the lobby which is constantly open to the public. Launched in 2013, it has all the things most attractive to all those interested in the topic. Being supported by the Real Time Gaming platform which is one of the most renowned software producers, the casino is filled with the greatest services available on the market. The studio has much of experience gathered over the years as it has been operating for quite some time now. By installing a secure encryption program, the site ensure complete protection from any kind of malicious activity that may take place on the Internet. The RSA key and high standard protocols are responsible for keeping all the valid certificates intact so that you may take comfort at spending the time there. The trademark is being owned by Merus Ltd. and completely regulated under the jurisdiction of Curacao. 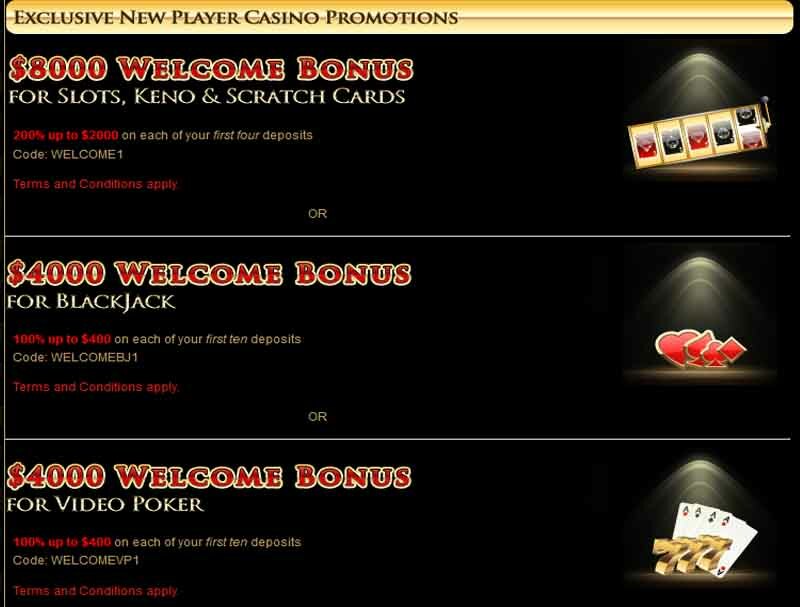 Any new players that registers an account will get the welcome bonus for covering the very first deposit. Be sure to check the rules so that you understand how it all works. No Deposit: 100 Free Spins – Restricted countries: Belarus, Bolivia, Bosnia and Herzegovina, China, Costa Rica, Croatia, Czech Republic, Estonia, Finland, Israel, Japan, Latvia, Liberia, Lithuania, Luxembourg, Nigeria, Poland, Romania, Russian Federation, Serbia, Serbia and Montenegro, Singapore, Slovakia, Slovenia, South Africa and Ukraine. There are about 200 of fantastic games to choose and all of them have the best features possible to possess. You may either play them instantly from the web browser or download the whole collection onto the computer. Every main category was included like Video Poker, Blackjack, Roulette, Table Games and Slots. 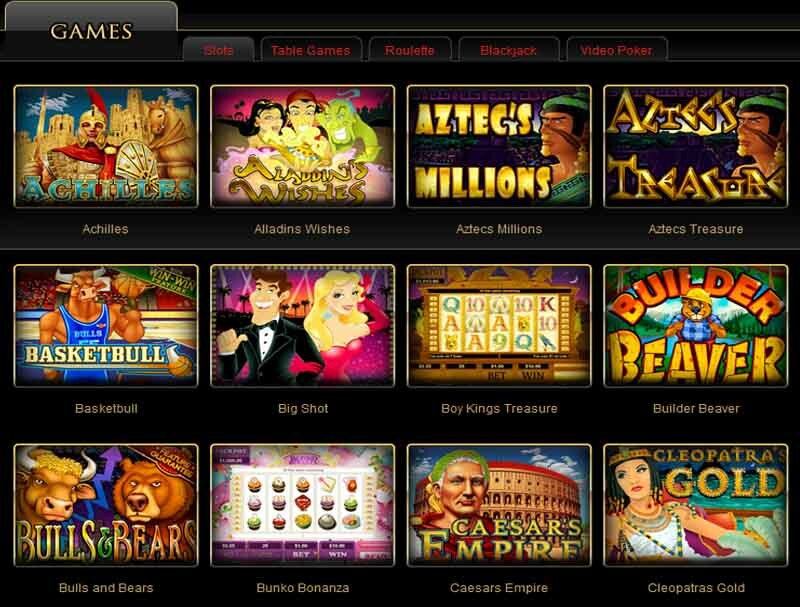 The Progressive Jackpot Games such as Aztec Treasure Guarantee and Aztec’s Millions are among the most popular with the players. There are also plenty variants of Blackjack and Roulette along with Caribbean Poker, Baccarat and other Table Games. The section of Video Poker offers also great opportunities to score. All of the games have the most appealing graphics which will only provide a better entertainment value. The ones that prefer the full scale amusement will have to join with the site, as the members have more gaming options open to their needs, plus many of the extra type bonus promotions are granted for the regular gamers. Customer service is attainable through telephone, e-mail or live chat. Banking methods that are accepted by the casino include Wire Transfer, MasterCard, ClickandBuy, Ukash, Neteller, Visa, ecoPayz, Skrill-Moneybookers. Currencies used by the website are Euros, Canadian Dollars, U.S. Dollars. The available language versions of the interface are English and French.